Like collectibles? Like said collectibles to be lit and featured in beautiful art? 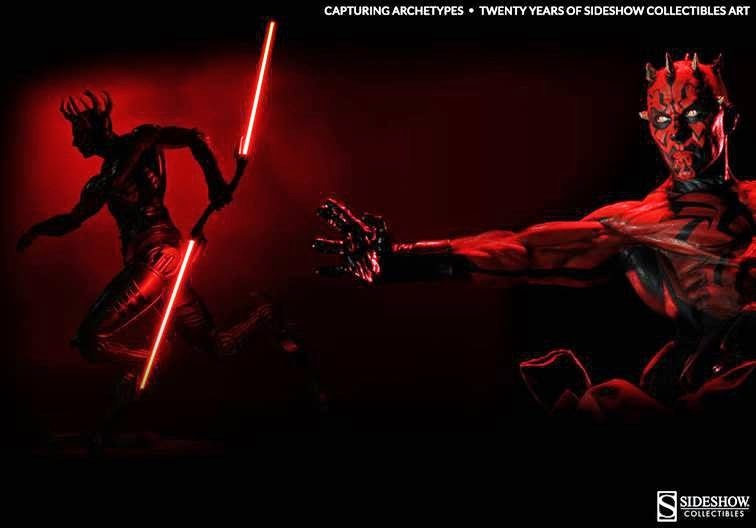 Then Sideshow's new title Capturing Archetypes: Twenty Years of Sideshow Collectibles Art is for you. Actually, even if you don't care about the toy part and just love Star Wars, Marvel, Lord of the Rings, DC Comics, etc. and appreciate well-lit and arranged photographs, this is still the book for you. The gallery style book was created to celebrate the 20th anniversary of Sideshow Collectibles. If you've ever drooled over their website, seen their statues in person at a convention, or are lucky enough to own their products, you know they don't kid around when it comes to quality. 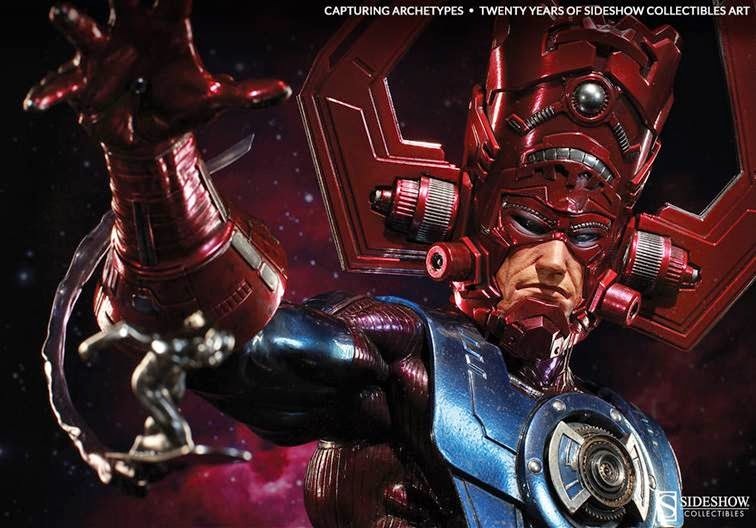 They've been making insanely detailed figures and collectibles for two decades now, and they've partnered with publisher Insight Editions to capture their work in stunning photos. Featuring a foreword from Guillermo del Toro, this book is simply gorgeous. As you flip slowly through the pages (this is not a book you should inhale in a single breath), you'll be floored by not just the close-ups on well-made figures but also the way they've been posed and lit. The glossy pages jump from franchise to franchise in random order, and you'll see characters such as Darth Maul, Poison Ivy, Mystique, Maleficent, Gollum, a Xenomorph, and many others. Some figures are shot as a group - like the X-Men - while others are broken into pairs or just single shots. They're essentially portraits of characters that are near and dear to so many of our hearts. The book isn't just a celebration of Sideshow Collectible's offerings, it's a celebration of fandoms and characters. It's the kind of book you want on your coffee table and in your life. 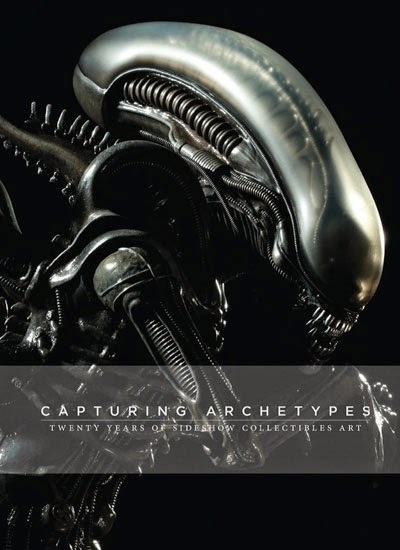 Pre-order Capturing Archetypes: Twenty Years of Sideshow Collectibles Art at Amazon. Full disclosure: this book was provided by Sideshow Collectibles for review purposes. This did not affect my opinion or review of the title. Thanks again for another great post. I was going to buy this, but seeing this review definitely convinced me to buy it soon. Yay! I'm glad it was helpful! I each right time messaged this amazing site page present page on every one of my companions, because if get a kick from the chance to peruse after that it my companions will as well. Thank you! It is definitely an good online site! good You can download and install SHAREit app for Android, as well as shareit app send documents up to 2GB absolutely free with charges entailed for nice. Here you will get all type of medication at reasonable price. They give generic medication on different health problem. Your Sideshow collection is very impressive. I like the photo you collect. i really really wanna say thanks for your another awesome post , i hope you post can helpsful for everyone .